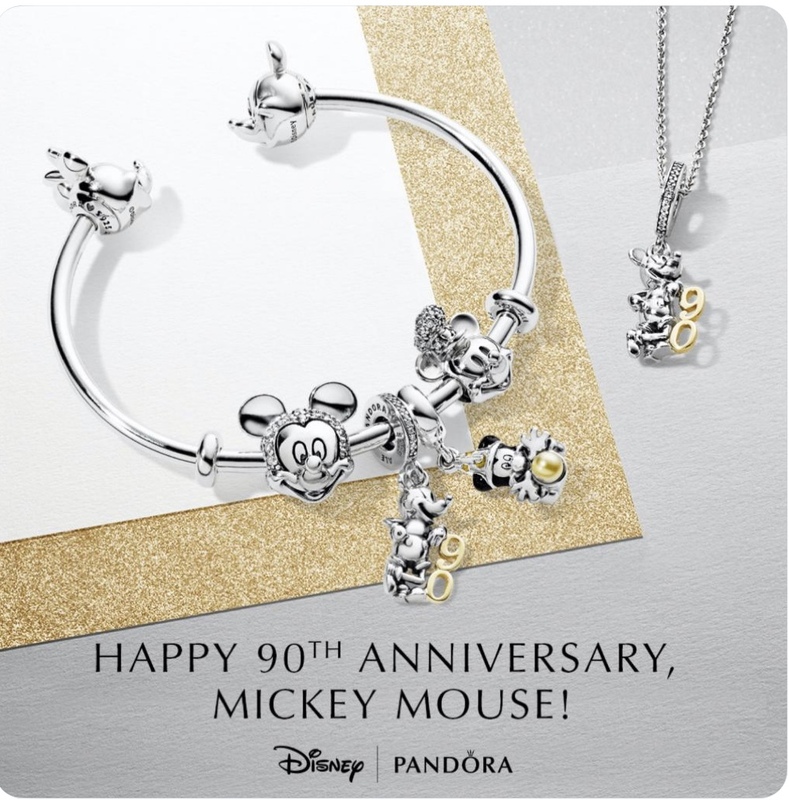 The new merchandise for Mickey’s 90th Birthday just keeps rolling in. Today on Twitter, we got a peek at the new Pandora jewelry that’s hitting shelves tomorrow courtesy of the Disney Springs page. Here you go! If you’re at Walt Disney World, you can find these adorable charms at Ever After Jewelry Company at Disney Springs. If you need help with getting this (or any other) little souvenir for yourself, you can contact MouseAholic Shopping Services on Facebook or Instagram. I wonder what they’ll come out with next? I can’t wait to see! Happy Shopping! You can follow us on Instagram for more shopping finds and Disney fun at @themainstreetmouse!